It’s quite nice to see it in print 🙂 In addition to doing the front cover I also had to create a bunch of other images for the album, plus the booklet. I therefore expanded on some of the techniques I used for the Some of the Creatures Have Broken the Locks on the Door to Lab 558 video. The intro shots of swirling coloured liquid and some of the biological looking shots were created with food colouring and gelatin. I shot these using some macro tube extensions. These go between the camera and the lens and change the focal length of the lens, basically letting you get extreme close ups. This also means that you have to get your lens incredibly close to the subject – so close in fact that the bottom of the lens was actually in the water! I wanted to have some biological looking images for use in the booklet so I did quite a few pics of gelatin and food colouring. You can get some really nice pics – this is all backlit using LED strips as you can see in the above pic. This image is several different views of my tentacle puppet stitched together. I really like the way the light plays through the slime dripping of the tentacle. Slime makes everything better 😉 This is lit against a light box which I find is really good for giving you a pure white background. I figured it gave it a slightly clinical look, as though the tentacles were in a tank in a lab perhaps. Finally, we did a few shots of my brothers eye for the video and so wanted to do the same for the album art. As it turns out getting an image that was in focus was extremely difficult. You need to have the camera incredibly close to the subject so this was only a few centimeters away from Tom’s eye. Additionally, I was shooting it at F1.8 so the focal depth was incredibly narrow. So much so that even the slightest movement of the camera would make the image look out of focus. Of course it’s also very difficult for someone to hold completely still so I had to constantly try and correct the focus. Because of the macro tube I was using, the lenses’ focus ring didn’t really make much of a difference to the focus. This was less of an issue when shooting video as it didn’t matter if it went out of focus occasionally, but it was a real pain taking stills! 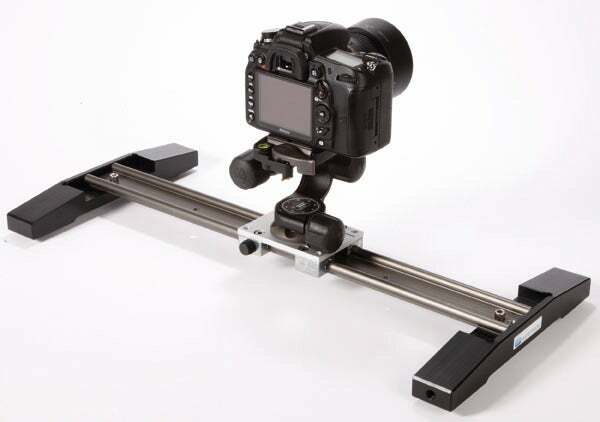 In the end I mounted my camera on a glide track so I could easily move it in and out to get the focus correct. I also used a fast shutter speed and relatively high ISO so I could grab the pic before it fell out of focus. Here’re my pics from this years Asylum. I hadn’t taken that many by the end of the first day, but by the end of the weekend I’d taken over 400, so it took me a while to go through them all. 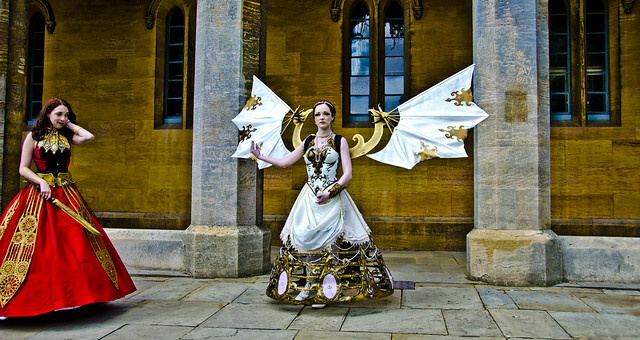 Here’s a pic of Amy from Aconite Creations – her costumes are always amazing. And here’s a Flickr gallery of the rest of my pics. Finally, I found myself getting photographed a fair bit. Here’re some cool pics taken by photographers at the event. Two updates in one day?! Yes, I’m a little busier than usual. This is kind of tied into the ‘Lab 558‘ video that I’m currently making as it’s the album artwork for my brother’s new album. I’ll also be creating some inlay artwork using elements from the video. I cleaned up the join between finger and tentacle in photoshop and isolated Tom and his hand separately using the path tool – I needed two masks as the hand’s in focus and has a hard edge whereas the rest is out of focus and has a soft edge. Finally we needed a reflection of a ruined city which I created in After Effect again using Element 3D and a few other Video Copilot stock elements. The tentacles are from Beast of the Air 😉 This was all combined together using some grime and glass elements which I added using various blending modes in photoshop. So I attended The Asylum this year, Lincoln’s steampunk festival. It was a great weekend and each year it gets busier and busier. Apparently over 2000 people attended this year. I love seeing what people have come up with each year. The level of artistry on show is incredibly impressive and really inspiring. I ended up taking over 400 pics and some 200 odd of those have ended up here. Finally a mention of Amy Smith’s amazing costume. She really outdoes herself each year. Here’s a gallery of my pics. So I’ve finally got round to finishing my Dead Space model. It’d been sitting on a shelf gathering dust for some time. I’ve been having fun taking some pics and then adding various effects to the finished pictures. I had in mind that these might be stills from a film or similar, hence the widescreen look. There’re more pics available on Flickr or on the main site. I spent saturday taking pics of some recent sculptures. It’s quite fun to set up backdrops and lights to get some decent shots. I even dug my old smoke machine out, although it’s abit rubbish so I’m not sure you can really see the smoke much! I started off by photographing Tom against a black background. In order to make it look like he was underwater we suspended his hair in the air with clips and fishing line. The breathing apparatus was cobbled together the night before from some bits and pieces I had lying about. The frame around the tank was made of plastic and shot separately on green screen then comped in later. The water was created using a variety of particle systems in After Effects. I also used various distortion effects to create bubbles and ripples and various other elements such as coloured smoke were overlaid over the original image. All in all quite a fun project. Here’s a Flickr gallery of all the images. Oh, and you can listen to the CD/EP, whatever it is, here. Posted in Through These VeinsTagged Graphics, photographyLeave a Comment on Tom. In a box. Just returned from Windemere where, other than holidaying, I was filming some establishing shots for the Beast of the Air video I’m working on (and very close to finishing). Here’s a still of the view, which was quite pleasant. I’ve used some video of this scene for the opening shot. I know what you’re thinking – what a nice view, but what it really needs is a giant steampunk tower in the background. Well look no further, here’s the model I’m currently working on which will finally grace the forested hill on the left. The idea is that the tower has been ‘steampunked’ itself and so it’s broken areas have been clad in brass panelling. The airship will be docked at the platform that sticks out the side. The chorus of the songs says that ‘the beast of the air wails a sing, wails a song to keep us dreaming’, so I figured that a sky kraken hunter might attract the beast by playing it’s song back at it, to summon it from the heavens, hence the rather large megaphone attached to the top. This’ll be attached to some rather large steam engines I think to generate enough power to summon the kraken!